News Feature Portrait: Joe Bishop raises a finger as he recounts his experiences working at a train station. An outtake from a fashion shoot for Southern Indiana Business Magazine. Mikey, a drummer I've known since he was in middle school, poses for a portrait after playing a set in Indianapolis. Jay is a multi-talented musician in Indianapolis. Here he is standing outside of a record store in Indianapolis. 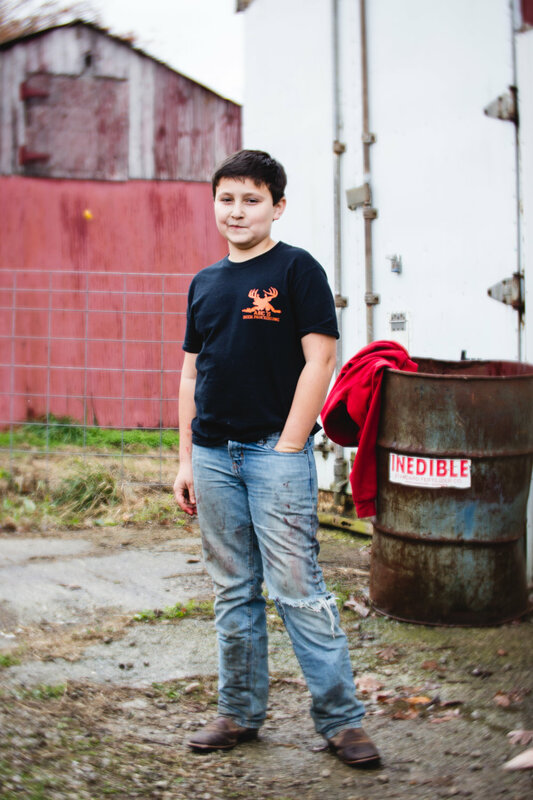 10-year-old Wyatt Pruett puts in a lot of hours at his grandfather's deer processing business: he prepares the deer as hunters bring them in by removing feet and heads, grinds meat, and says he "eats a bunch of samples of jerkies." Donald L. Graf takes a break from gardening to reminisce about his family history. 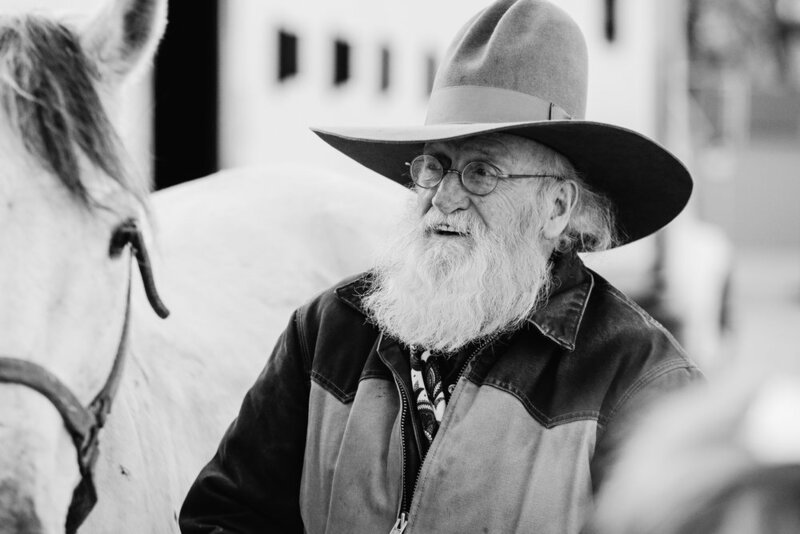 Terry McKnight is a horse-drawn coachman in Southern Indiana. Sports News Feature Portrait: Tony Coppola poses with his vaulting pole on the Jeffersonville High School track. Bill Mihalo, a 97-year-old World War II veteran, grew up in Whiting, Indiana and now resides in Sellersburg. After getting his G.I. bill, Mihalo went on to become a chemical engineer, primarily working for oil companies. 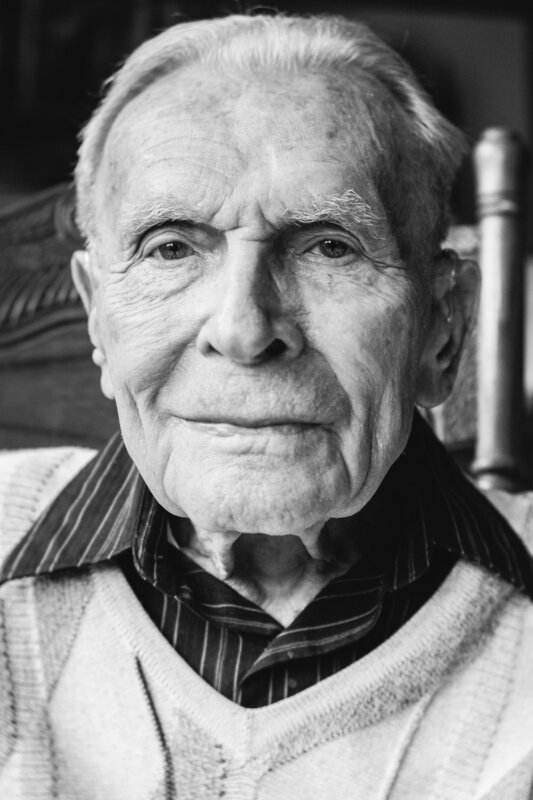 Bill Cheesman, 96, was drafted into the Navy in 1943, at the age of 23. He attended torpedo service school at the Great Lakes Boot Camp and again in Key Port, Washington. Following his naval education, his new home during his service was the USS Ticonderoga. Jazz musician Jamey Aebersold sits with his saxophone in his New Albany home studio. Aiden, a 6-year-old with Autism, looks into the camera as he builds a tower of blocks.